I've been following the Curly Girl Method for 6 months now, so I thought it was time for a hair update! 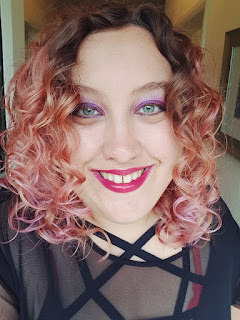 I wrote about when I started it here and 2 months in here, and now I've finally got a pretty set routine and feel like my hair is done transitioning it was time to share again. This weekend I had probably the best hair day I've ever had. Also, I totally bleached and coloured my hair because I missed my fun hair! 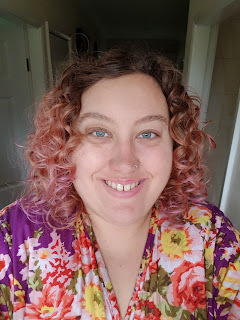 So, an update on my routine! I co-wash using either Tesco Pro Vitamin B 5 Care & Protect conditioner, or Tesco Pro Vitamin B5 Volume & Shine conditioner. I use these both for my actual co-wash, and as a leave in conditioner as well. They cost about 90p a bottle, and I get through a bottle in about 3 washes. I wash my hair twice a week at the absolute most. Some people spend a fortune on products but so far I'm finding these cheap ones work really well for me! 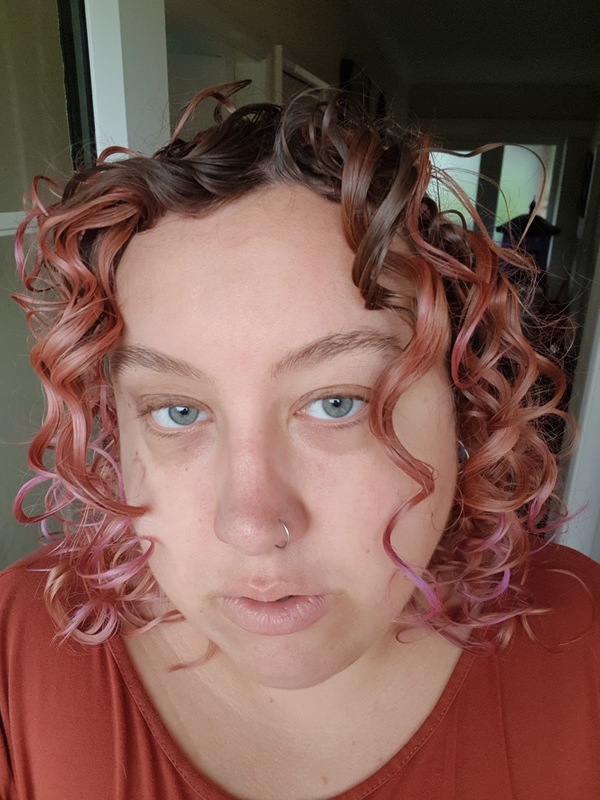 For my product, I find that gel works really well. When my hair is soaking wet I absolutely pile on Tesco Everyday Value Styling Gel. This gel is 30p. Really. 30p. And it's amazing. I've used more expensive gel, but this is my fave! I use a lot to really get coverage and to get a good 'cast', when your hair goes stiff from product. I tend to wash my hair at night, so I then plop over night in a net, I use these from Salons Direct. I plop how you would with a tshirt, but using the net instead. I then pop a couple of grips behind each ear to keep the net in place because I am a very wiggly sleeper! In the morning my hair isn't 100% dry, but when I take the net off my hair will stay put in what we call 'snakes'. I knew my hair was going to be great when my hair looked like this. Good snakes generally means good curls. 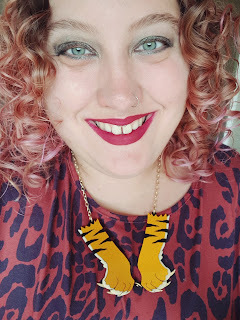 I then diffused my hair till it was 100% dry on the cool setting. I never touch my hair till it is 100% dry, this is important! It means less frizz. This then leaves my hair with a cast. This is a good cast. The wilder the cast, it seems the better the curls. 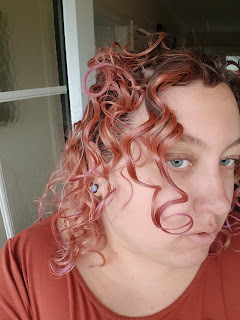 I 'scrunch out the crunch' (SOTC for short) using jojoba oil. I rub some into the palms of my hands and start at the back of my head, scrunching the oil into my hair to break the hard cast. 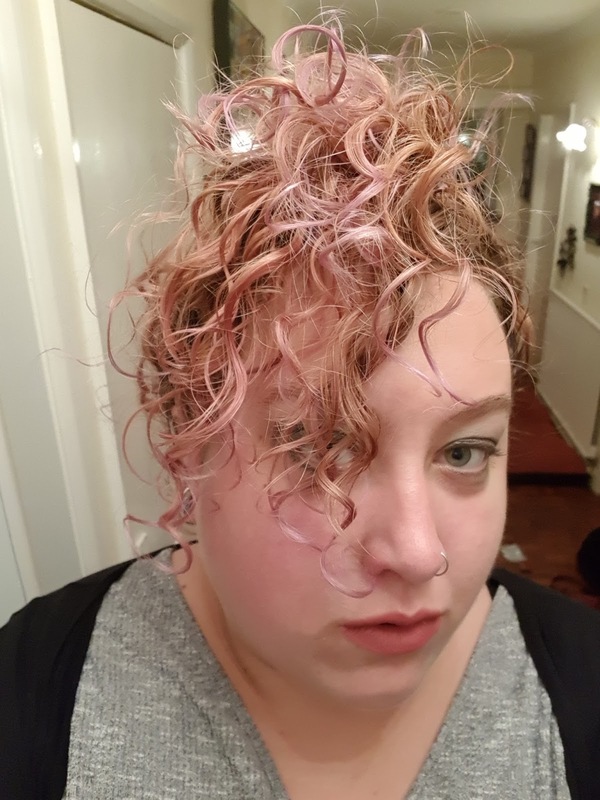 My hair looks ridiculous in the cast, but once it's all scrunched out, this is the end result. This is the hair I've always dreamed of. And it's on my head. It's my hair. 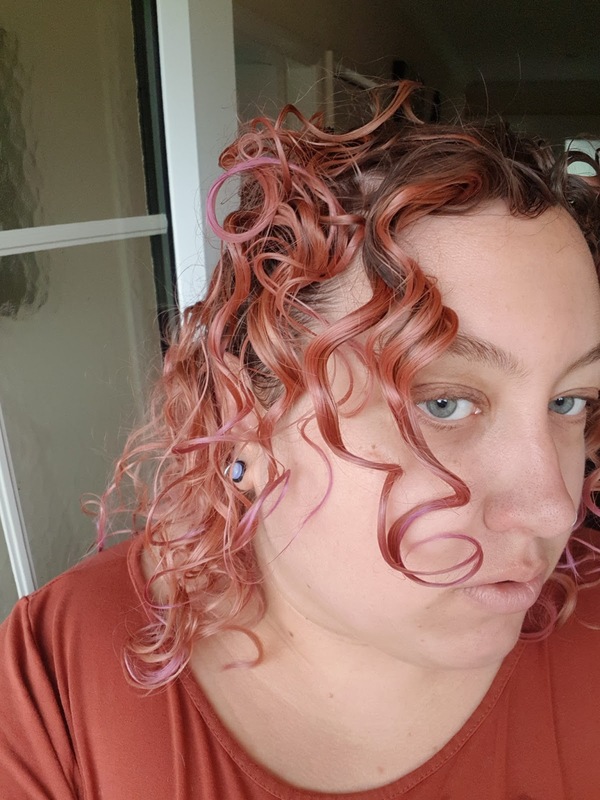 I have beautiful big ringlets, volume, bounce and shine, my hair is what I always wished it could be. And it's so easy. Magic! 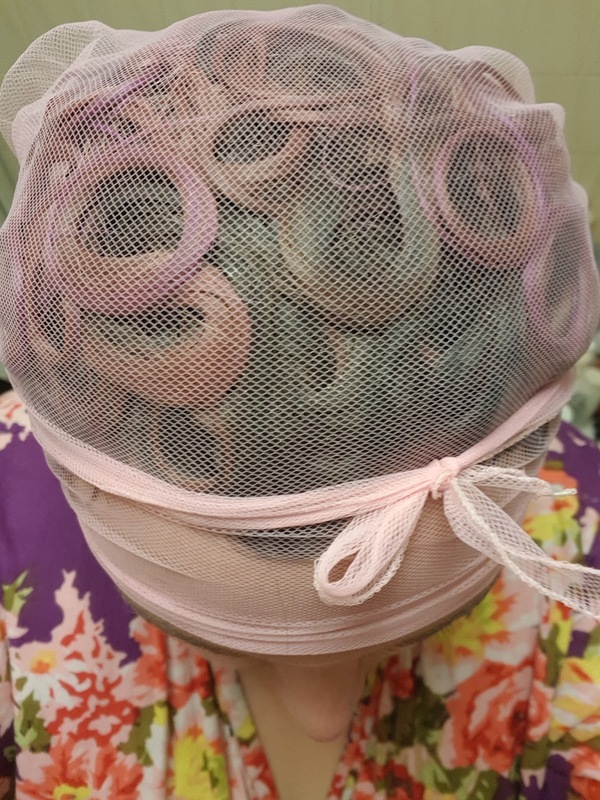 There are a few different options for protecting your hair at night, I'm a wiggler so I tend to use a combination of methods. I sleep on a satin pillow to avoid frizz, this definitely helps me a lot because I know whatever I cover my hair in will usually be lost by the time I wake up, so this minimises the damage. I sleep in a 'buff'. which is an elasticated tube of material. 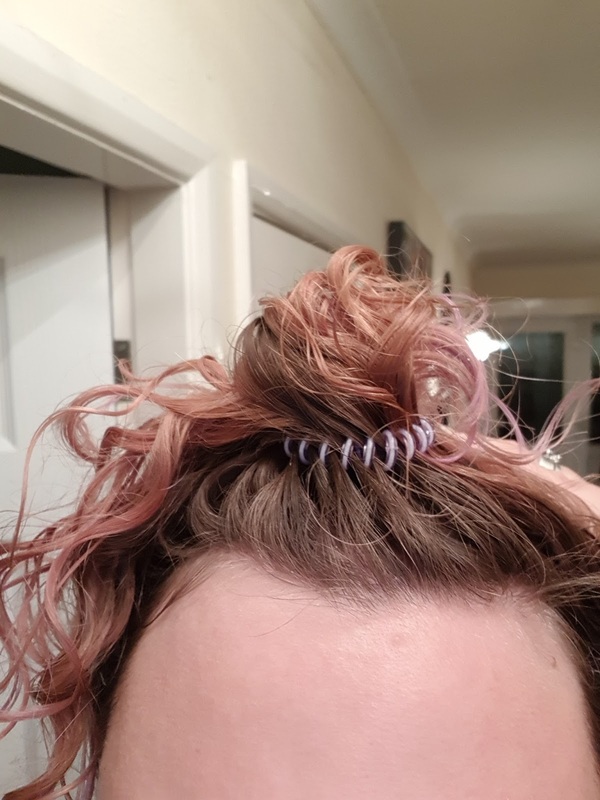 I make sure my hair is totally inside it and that it's pulled down over my forehead so I keep as much volume as possible without crushing my curls. This video shows you how I do this brilliantly. You can also sleep in a 'pineapple', which involves piling all your hair on top of your head and securing it. Rather than using a normal hair elastic, I use a generic version of the invisibobble, or a scrunchie will work too. My hair isn't very thick, so pineappling doesn't tend to work for me which is why I prefer a buff. Here is my hair right out of a buff with no refresh or work done to it after a night's sleep on the left, and with a little oil to smooth it out on the right. 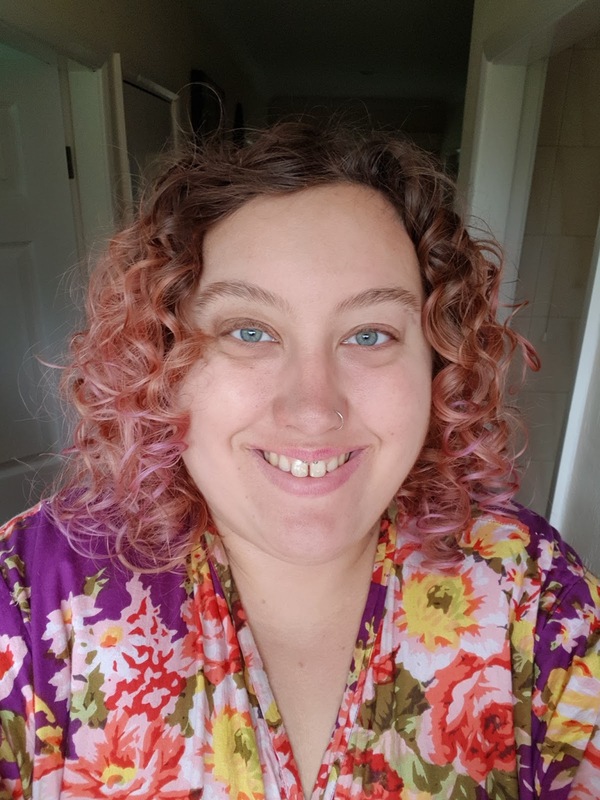 Once you get to grips with the curly girl method, it becomes second nature and every day can be a good hair day. Here's a little before and after to remind you of what a 'good' day was before co-washing. PS. 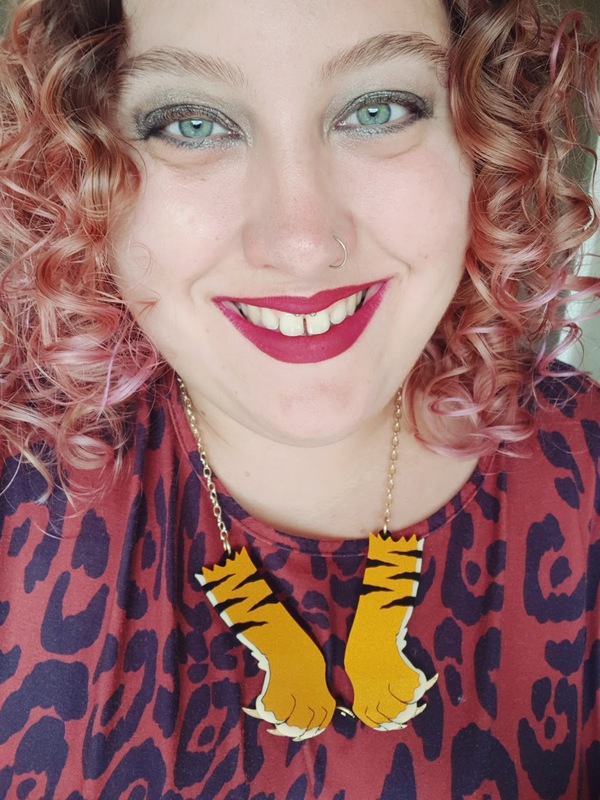 My amazing tiger paws necklace* is by the awesome Sugar & Vice. If you have any questions about my routine do feel free to ask away! *denotes an item gifted to me, in no way does this impact upon my opinions which are entirely my own. I really think I need to start doing this, I miss my curls. My only concern is my sometimes greasy roots - they need shampoo. Any suggestions of what to do when you have this issue? Someone who might know? I've tried google and just ended up with 50 million suggestions for conditioners and no advice. So helpful. Your hair care regime sounds great and I am loving the beautiful finish you have achieved from following the procedure. 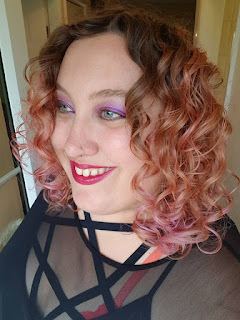 Your curls are gorgeous, I love your hair journey and glad it's been successful! Hey! 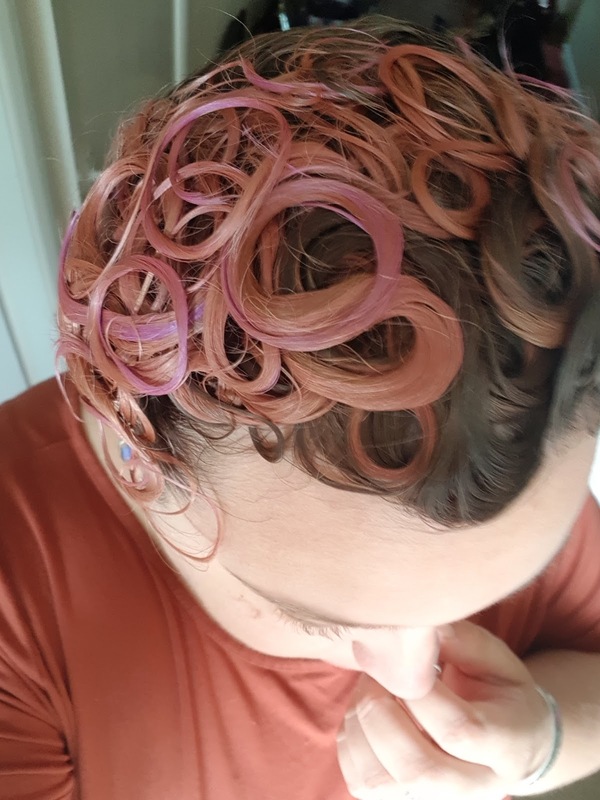 Currently I basically use gel, and then as my final product for smooting... lube! Yes, that lube. The one I use is the tesco one in a blue container, it's silicone free and really tames the fly aways. I know it sounds really odd but it's recommended in a lot of CG groups!